Jack’s Nadi rugby side is adamant for a positive performance when they host Cloud 9 Malolo in the round four of the Skipper Cup Premiership match in Prince Charles Park, Nadi this Saturday. The jet set town side has suffered two straight losses, 30-37 against Navosa in the second round and 13-21 against Naitasiri in the third round. Playing the full 80 minutes rugby is vital for the Western side. “Players know how important this game is going to be and they know that they have to lift the intensity,” Rabaka added. Some prominent names likely to start for Nadi are number eight Jiuta Takubu, winger Semesa Muadonu, and Olympian Kitione Taliga who plays full back. The side will be missing the services of Ron Katonivere and Veniona Toga who have been ruled out for two weeks after sustaining injuries in the third round. “We will need to play a hard solid 80 minutes rugby. We just can’t afford to commit mistakes against Malolo outfit as they are very lethal when it goes into the fourth round,” he said. 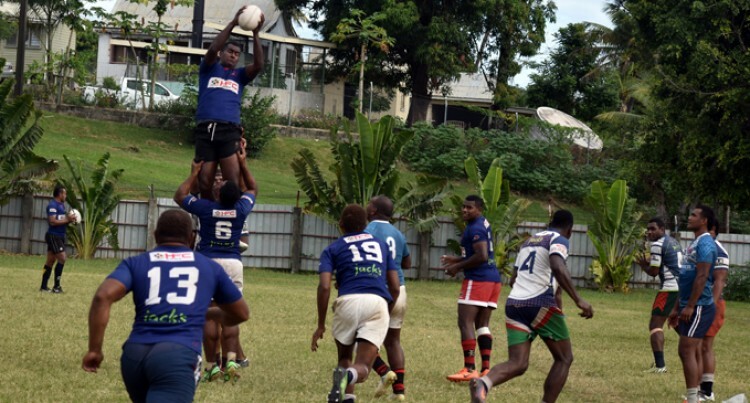 Nadi rugby is requesting the die-hard Nadi fans to turn up in big numbers on game day.